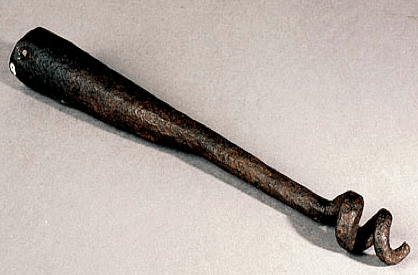 A VERY GOOD AMERICAN REVOLUTIONARY WAR PERIOD 4 lb. “SOLID SHOT” CANNON BALL, (FOUND IN NEW HAMPSHIRE), ca. 1770s: In overall very good sound untouched condition and of slightly crude/irregular American manufacture with a defined pointal from the sprue and a medial seam. Solid shot, approx. 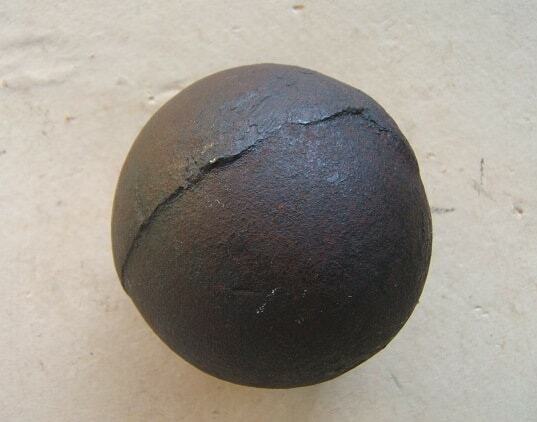 3″ diameter ball with the expected irregularity and minor scattered light discoloration and dark, smooth, steel surfaces. 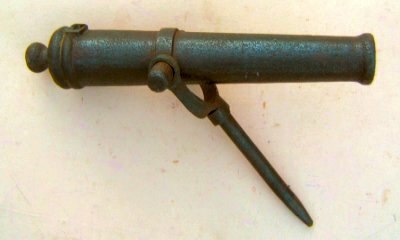 A nice, authentic, American-made Revolutionary War Period 4 lb. Cannon Ball, found in New Hampshire. Dates to, ca. 1770s.